Random Lengths News is the Los Angeles Harbor Area’s independent newspaper, which serves San Pedro, Long Beach, and the surrounding areas. The No. 1 recipient identified was State Sen. Rod Wright, who subsequently resigned following an unrelated criminal conviction. The No. 2 recipient, Isadore Hall III, was the assemblyman who replaced him in a low-turnout special election this past December. Now, Hall wants to take his oil-drenched politics to Washington, as the anointed successor to Janice Hahn, who’s running for the board of supervisors. 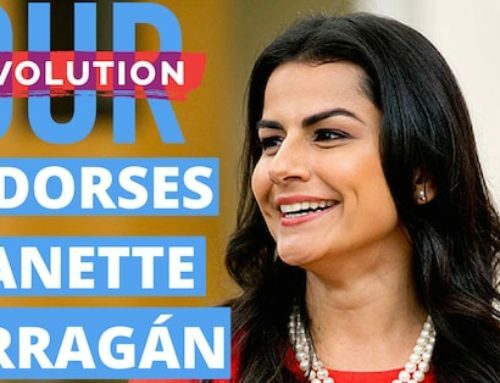 But, while other political insiders have bowed out of the race, he’s now got a very serious grassroots environmental crusader running against him: Hermosa Beach Mayor Pro Tem Nannette Barragan, fresh off her leading role in the March 3 landslide 3-to-1 defeat of “Measure O,” which would have opened up Hermosa to oil drilling for decades to come. On April 14, Equal Pay Day, Barragan made her announcement. Although living outside the district, Barragan is a Carson area native, born of immigrant parents. She has family in Wilmington and San Pedro as well. “I’m about to move back home, coming back to Pedro,” she said. 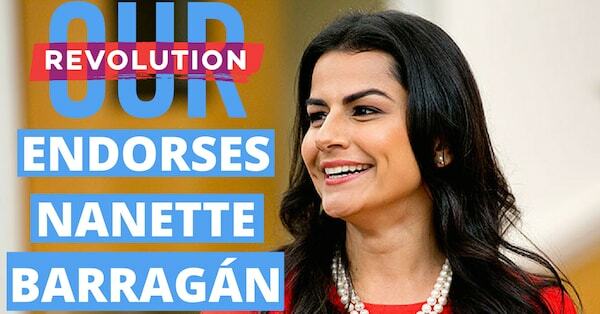 Fighting for, protecting and inspiring working class families like the one she grew up in is a common thread connecting almost every issue Barragan touched on in a recent interview, from raising the minimum wage to protecting children’s health from a polluted environment. 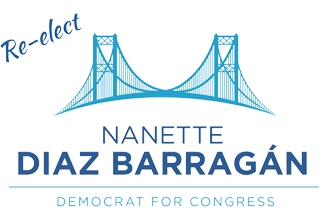 The day she announced, Barragan got formal support from Blue America PAC, which supports progressive Democrats. It was announced by influential progressive blogger Howie Klein, Blue America’s treasurer, who also indicated support to come from RL Miller, chair of the California Democratic party’s environmental caucus, and executive director of Climate Hawks Vote, dubbed “a superPAC on a shoestring,” which won 11 of the 17 races it endorsed in 2014, its first active cycle. 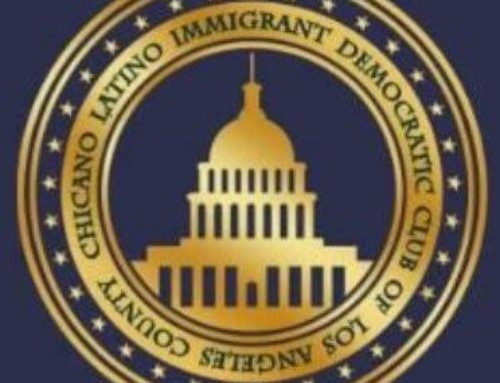 These seemingly small deeds have since been followed with endorsements from nearby Congress members Linda Sanchez (D-CA 38) and Lucille Roybal-Allard (D-CA 40), both of whom have previously represented portions of the district, as well as two Arizona Congress members, Ruben Gallego and Raúl Grijalva, and three more from Texas: Joaquín Castro, Rubén Hinojosa and Filemon Vela, as well as BOLD PAC, the fundraising arm of the Congressional Hispanic Caucus. 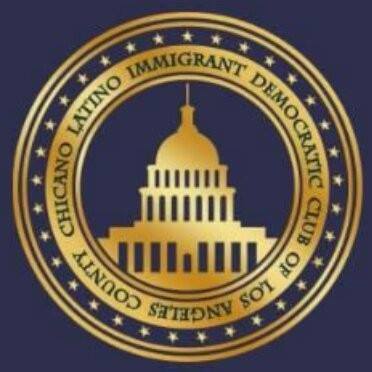 She’s also been endorsed by Los Angeles City Councilman Paul Koretz, South Gate Vice Mayor Bill De Witt and Carlos Alcala, the Chicano Latino Caucus chairman of the California Democratic Party. If it sounds like it’s shaping up to be a black-Hispanic struggle, that may reflect networks of initial support, but a peek beneath the surface reveals something more troubling. In addition to oil money, Hill and Wright were also neck-and-neck near the top of recipients of tobacco money, which was once strictly off limits for Democrats.In August, the Sacramento Bee reported that Hall was one of six Democrats cited taking more than $20,000 in tobacco money in recent years. In short, the real interests Hall represents are directly threatening to the black community. At the same time, Barragan has a track record of working across racial lines. As a student at UCLA, she had an internship at the Clinton White House doing outreach to the African-American community. At first, she could not believe it when a UCLA career center advisor urged her to apply for internships in D.C. When the Supreme Court rejected her, it confirmed all her fears, but then the White House accepted her. But that was only a beginning. “I loved it so much that I went back in 1999, to work for the NAACP on the hill, to do legislative policy, working on health care policy for the NAACP,” she said. “One of the areas was racial health disparities,” which was an issue being highlighted by the Surgeon General at the time. Barragan’s awareness of those disparities clearly influences how she sees the public health side of environmental justice issues, as she made reference to the “toxic tour” conducted by Communities for a Better Environment. Even without a guided tour, air pollution impacts in the district are unavoidable, Barragan noted. “We see children who walk around with inhalers,” she said. “It’s a public health crisis. Last week during a critical vote on a fracking bill, state legislator Isadore Hall III was sitting on the sidelines and chillin’ with his friends at Western States Petroleum Association as the vote count seemed to stall at 19 (it needed 21 for passage). He told them his voting strategy—he would abstain so as to not cast the deciding vote, but if two others voted for it he’d have to go along so as to not hurt his reputation with the greens. Fortunately for Hall’s entirely undeserved reputation, two others voted yes, so he cast vote No. 22. Miller said they hoped the early endorsement would help cut through the fog. While Hall wrapped up a lot of early endorsements, Miller said many are having second thoughts. “I have already started to talk to both elected officials who regret their endorsements, and Democratic club people who regret their early endorsements,” she said. It’s not just oil and tobacco interests that have raised questions about Hall. All that money did not buy very many votes, however. Hall did well enough to avoid a runoff election, winning almost 18,000 votes for 55.9 percent. But in the 2012 general election, Wright garnered more than 10 times as many votes, while the badly-beaten Republican tallied three times as many. Now, Hall is trying to use that paltry turnout, purchased in part through lavish spending, to lay claim to a congressional district in which most people have never heard of him. Barrragan doesn’t expect to outspend Hall, only raise enough to get her message out and mobilize grassroots support, as she did in the fight against Measure O. She began that fight as an outsider, ran for city council, won, and over time, mobilized such strong support that the council as a whole moved from formal neutrality to outspoken opposition to the drilling plan. And that grassroots connection remains primary for her.